Our Galaxy S7 silicone case is flexible and long lasting. Your picture will be printed with high-quality ink, right on the back. Customized cases are fashionable and protective. 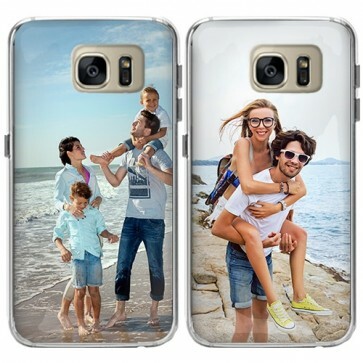 Make your custom Galaxy S7 case today! There’s a chance that you’re at a sporting event and an excited fan knocks your Samsung Galaxy S7 right out of your hands. Here at GoCustomized, we, of course, want your phone to be fully intact, even after the whistle. This case offers durable protection against scratches, cracks and bumps. The Galaxy S7 silicone case is bendable and is therefore indestructible from drops. When designing the case, we factored in the most convenient openings so that your phone’s functionality doesn’t decrease. The custom Galaxy S7 case is nothing less than an asset to your phone. At GoCustomized you are the designer. You can create a custom Galaxy S7 case the way you want. Choose a nice picture from Facebook or Instagram, or perhaps you could support your sports club by placing their logo on the back of your Galaxy S7 silicone case. GoCustomized utilizes a user-friendly customizer where you can use not only your desired picture on your phone but also different fonts, font sizes and our own popular designs. So start designing quickly, because we cannot wait to produce your perfect case! Just like you, GoCustomized has no patience for waiting. 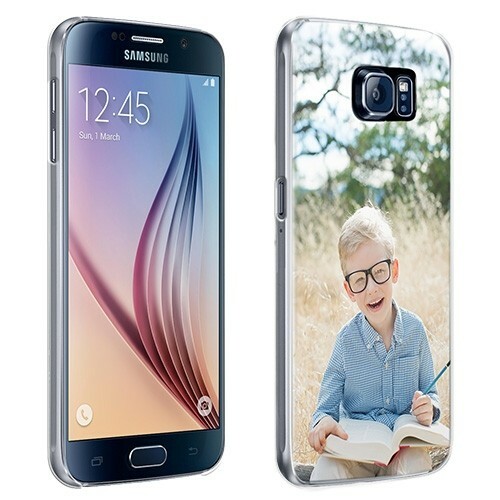 Designing the Galaxy S7 silicone case with us is, therefore, a safe and quick procedure. We produce your case within a day of your order and deliver it immediately! Also, you do not have to stay home for a custom Galaxy S7 case, because the package will just fit through your mailbox! If you still have questions, please feel free to contact our customer service.